I would like to kindly invite those who are not yet part of our Discord channel to join us, as it seems Discord is picking where IRC left, proper place to gather (yes, ET gather, same as we used to have once upon a time on IRC), meet new and old faces, have fun enjoying daily scrims, currently there are around 350 players and more are joining each given day. So if you feel you want to enjoy old memories again, play daily 3on3 or 6on6 scrims, dont hesitate to join us and experience all those memories again! Recent ET survey has given a lot of feedback and perfect opportunity to see just how many players are actually standing behind their votes, so this is your chance to enjoy our beloved game yet again and have fun doing it along with your mates. I present to you hopefully one of the many one day cups to come in near future. Each team captain needs to join Our discord channel and PM me to be given appropriate role. - In case of 8 teams or less, round 2 will be removed. 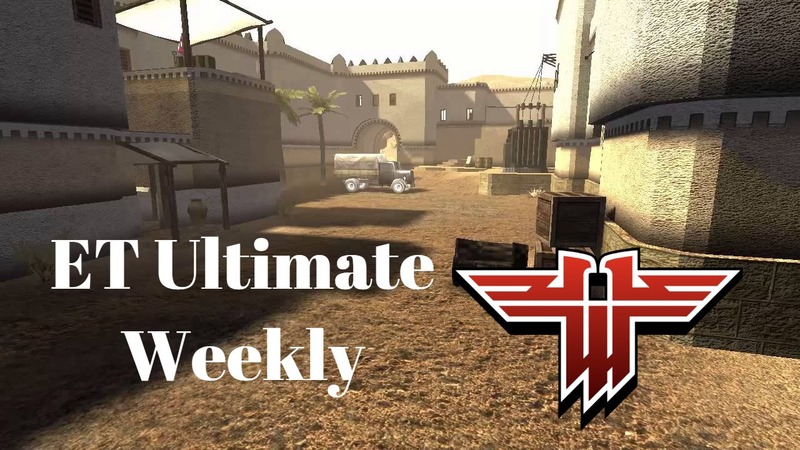 Quote You must invite 5 player(s) to register for ET Ultimate Weekly #1 . You don't need 5 players to register on the website specifically, but you do need to fill in 5 names in order to sign up with a team. To avoid one-man teams who are not able to field a line up by cup date. we want to avoid that a player can play on 3 different teams. Registrations can be done till 20.01 16:00CET...once you registered.. you dont need to do it again, your team is already there. Yes you can add random names, but they will stay there forever, till you edit that. E: aber kann uns dort anmelden, mit abSTURZ? Rather than team sign ups can we not just have a cup where random teams are picked from the players that sign up and actually turn up? Like a draft cup? I like the idea, but it requires more effort to organize. I'm not gonna be here this Sunday myself, perhaps another edition. Yeah but players insert their own skill level they think from a number scale of 1-3 and we auto pick teams? If u re implying on the draft, that would require a lot of work but it's still doable, just need to advertise discord now for the time being so entire community or what's leff of it gathers on one place again for easier communication. Hardly any work. We ran cups of 40+ or more players in drafts when dB was in alpha. I was the sole organiser. When ET was alive and had a common place to gather (irc), now we don't have any of that and first steps are to get everyone on one place again then stuffs can be done much easier. I was doing a draft cup with Merlinator at the past as well and it was quite success since players not as good had the chance of playing along side some of a lot better players. Everything can be done, just needs a bit of time to get everything organised. soo what if some of the troops aint registering to that site and we dont have 6 in team by saturday?! I will be changing some stuffs by today evening or tomorrow, nothing wrong as long as u have 6 ppl for play. can we borrow one for this day?